where to live in Panama? 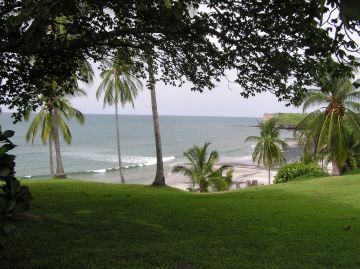 Panama is an ideal place to relocate. It has cool mountains, vibrant cities and lush tropical beaches. - The truly ideal situation would be to have a home in all three areas; most of us don't have that kind of money, but can we have it all, or do we have to settle for just one location? That's a problem that my wife and I have right at the moment. We live in the mountain community of Volcan where we enjoy "eternal spring" for most of the year. I love the climate, it reminds me of an English summer's day. My wife however likes the heat and the sun near the ocean, (I discover this after 27 years of marriage). We can't afford more than one home, so what do we do? Doesn't Steak and champagne sound wonderful? But if you had it everyday you would soon tire of it. But if once in while I wanted to splurge and have filet mignon and a bottle of bubbly I wouldn't have to buy the restaurant would I? That I have found is the secret to living in Panama. 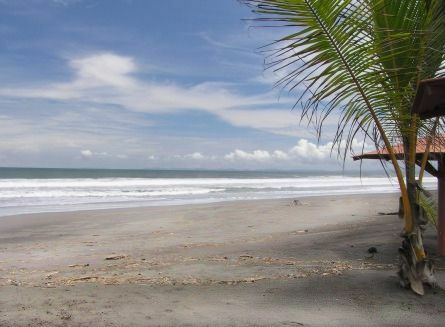 Wherever you choose to live in Panama you can spend a weekend in a completely different climate and then return to your original choice of location refreshed and happy. What I am not going to suggest in this article is where I think you should live. That's a decision you have to make. In Panama you can have it all. It really doesn't matter where you choose to make your main home. Within hours you can be relaxing on a sunny palm fringed beach, walking along a trail in the high cool mountains or dining at one of the city's best restaurants. Obviously your choice of "main home" is where you would like to spend the majority of your time. But my wife and I have found that just a few days in Panama City with its great shopping and wonderfully diversified dining, keeps us happy for months. Making that crucial main choice is difficult. I thought we had done that - my wife however would disagree. The compromise we have made is to take small trips to various different places. They are not too expensive and we see more of the country and its people. As I mentioned in the last relocation pillar, see as much of the country as you can before you buy. Beaches are wonderful, but on most tropical beaches there is a problem with "sand fleas." These nasty little things bite the living daylights out of you. This seems to happen just after dawn and just before sunset. The tourist books generally omit this little problem. You can spray for it - it works for a while, but then they come back. Even so sitting on tropical beach, watching the sunset, glass of wine in hand and a soft breeze blowing through the palm trees is one of life's ultimate experiences. I never fail to be in awe when looking up at the Baru Volcano. 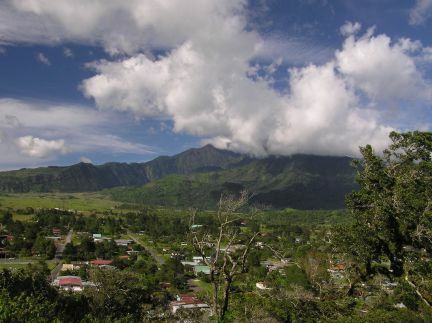 It dominates the mountain communities of Volcan and Boquete. It's just a little short of 12,000 feet and with clouds swirling over and around; it presents a spectacular and constantly changing sight. Those same wonderful clouds bring rain - sometimes lots of it. October and November are the worst. If you came to the mountains in these months you might just turn right around and go home - don't, it all changes in December, then the dry and windy season starts. Within a few weeks the wet and miserable months fade into memory. 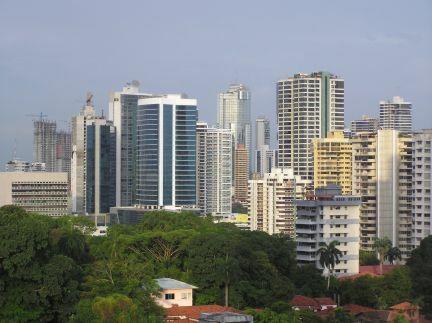 Panama City, is the most unexpected city on earth. Most arriving tourists are completely overwhelmed by the site of so many high-rise buildings. 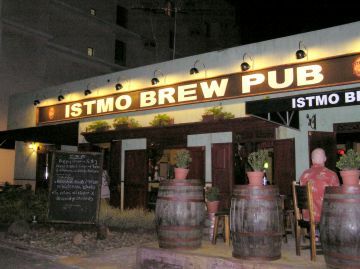 The shopping and great nightlife quickly make them realize that Panama City is "third world" in name only. Apartments with spectacular views can be bought for under $75,000. The only problem is that the city can become very hot and humid. The traffic noise can be deafening at times and driving through the city during rush hour is an experience that leaves some people partially traumatized. I have deliberately giving you some negatives here, but that's for a good reason. Most travel writers try to say that everything is beautiful - the sky is always blue, the sun always shines - it doesn't. If you want advice on where to live, my advice is see all you possibly can then decide. Spend at least 3 nights in each location and try and walk the streets. Driving around in an air-conditioned taxi gives you a false sense of reality. Walk as much as you can, That's the only way you will get a "real feel" of each location. Don't worry if you make a mistake on your first choice. Remember, Panama has a change of pace and climate just hours away.